Skiers and snowboarders can usually reap the rewards of Tahoe’s backcountry snowpack deep into Spring. When novices venture into Lake Tahoe’s vast backcountry for the first time there is usually very little thought for any sort of mountain etiquette. As you huff and puff up Mt. Tallac, making the comparison between the thigh-deep powder you’re wallowing through and the nicely condensed skin track to your left — the seemingly easier way to hike to the summit — do not commit the ultimate backcountry snowboarder sin of desecrating the skin track. You will be hastily, but hopefully politely, corrected by any nearby skiers of your egregious wrongdoing. Before you find yourself in this situation or any other awkward spots, here are a few tips to help alleviate any backcountry tensions while making the process of earning your turns a safe and respectful experience for all. The tantalizing allure of the well-trodden and firmly packed skin track is a classic pitfall for snowboarders new to backcountry travel. Why wallow and post-hole through knee-deep powder when you can just mildly post-hole on that nice skin track? Destroying the skin track is an unspeakable act in the backcountry, something that’s sure to keep skiers muttering ill-wishes under their breath toward snowboarders for years to come. 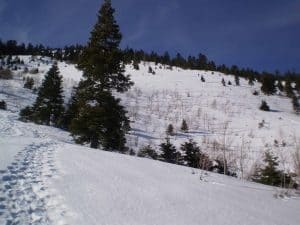 Digging snowshoe or boot holes into the existing skin track can create less surface area for the climbing skins of skiers and split boarders to grip as they cruise up the mountain. This can lead to unsafe travel conditions and general discontent. Instead, snowboarders should “earn their turns” by breaking trail on their own boot track. This initial investment in painstaking effort will make your next laps easier and create a conflict-free route for other snowboarders in the future. Remember, if you wanted it to be easy you wouldn’t be in the backcountry. 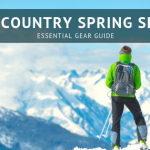 Putting the skier-versus-snowboarder strife aside, the most important aspect of being able to enjoy the backcountry — and perhaps the only one that truly matters — is being safe and prepared. 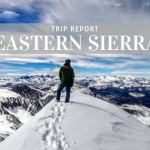 With 15 avalanche fatalities already in the 2016 winter season, the Know Before You Go campaign is a powerful and requisite introduction to what it takes to be ready for backcountry travel. The gear — a shovel, avalanche beacon and probe — is a necessary investment for safe travel in the backcountry, says Reichel, who is also the Wilderness Education coordinator at Lake Tahoe Community College. And, he adds, it’s imperative that you know how to use the tools properly as well as knowing how to avoid needing them in the first place. If you plan on trading in your season pass for avalanche gear, a splitboard and no lift lines, Reichel says those new to the backcountry need to be open to understanding a new reality. 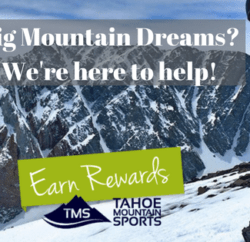 Being a good backcountry ambassador requires that you always make smart choices when outside of the resorts to minimize risk to your group, other users on the mountain, rescuers and public infrastructure. 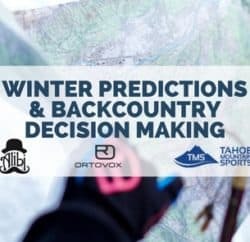 In short, Reichel says to get the avalanche gear, take a certification course, read the avalanche forecast and make smart decisions that will bring your entire group home for beer at the end of the day. 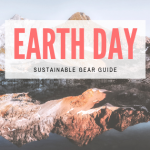 This should have to go without saying, but littered beer cans, orange peels (they really do belong in the trash) and granola bar wrappers found throughout the backcountry say otherwise. A crucial part of enjoying the backcountry includes showing respect to the mountains that give endless turns in cloud-like powder. With no summertime clean-up crew or trash fairy to patrol the woods, it’s up to skiers and riders to leave only fresh tracks. The final key to a successful backcountry tour is to show respect to everyone earning their turns and allow yourself to own your mistakes if you make them. 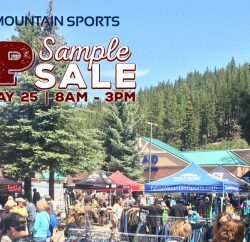 Local backcountry guru and owner of Tahoe Mountain Sports, Dave Polivy, urges everyone to show respect when earning their turns. Following that advice may go a long way to help narrow the rift between backcountry users. 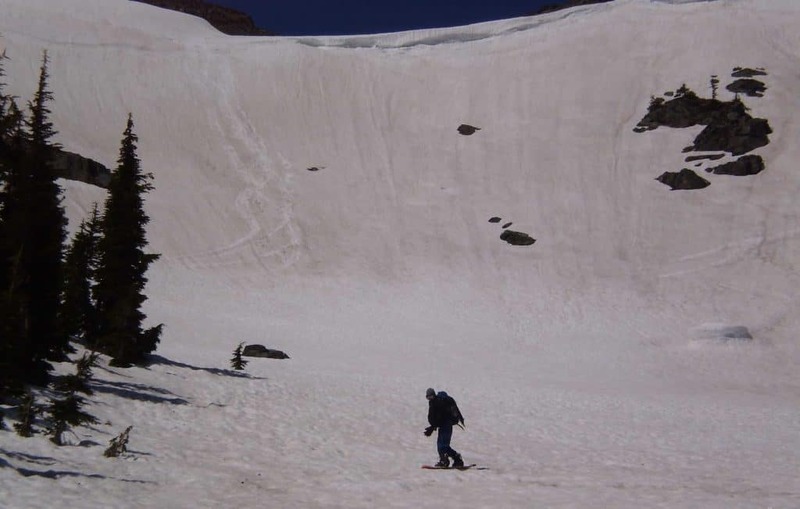 For the backcountry newbies, Reichel suggests practicing a little humility. Here’s to a long winter of safe and conflict-free backcountry travel!